It has been heavy times here at Six in the Morning lately withthe loss of the beloved Radio Raheem (Rest In Glory Big Man!!) BUT also... Rafaturns 40!!! 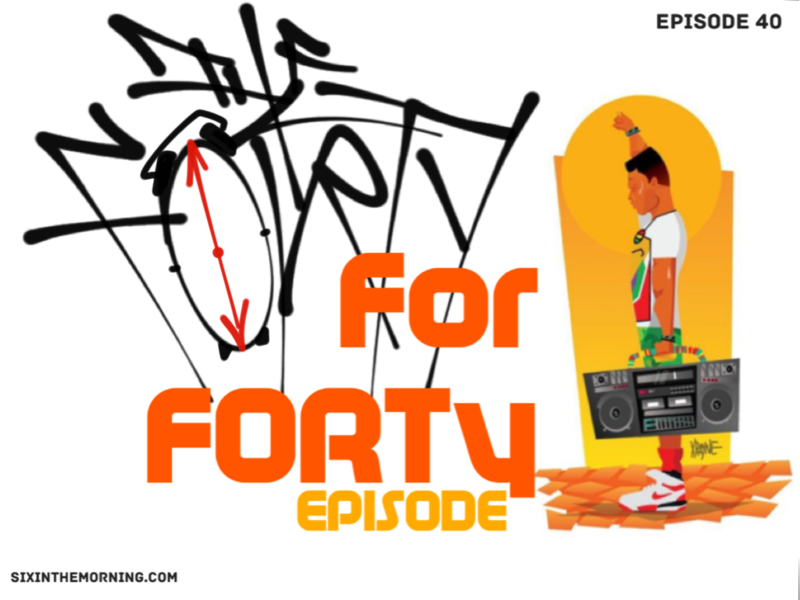 Getting older is never easy forany one so we show himsupport in our 40 for 40 Episode! As he turns a new leaf,we decided to showcasesome of our older MCs in the game who continue to bangout solid Hip Hop musictoday! Rafa also provides us a touching dedicated set to his son who has flownthe coup and now attending college! Go UC Santa Cruz Banana Slugs! As always, we feature a thoughtful curated selectionof classic bangers from Public Enemy, Nas and Biggie, newer cuts from veteransAtmosphere, De La Soul, Jay-Z and Masta Ace and the return of South Gate's ownMellow Man Ace!! Some new music from some of our fav new artists too. So let usblow out a candle for Rafa and celebrate his birthday with a dope 40's episode!